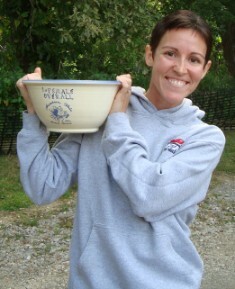 Pacer Elizabeth was the 2nd Place Female at the 2010 Columbus Marathon ! I love every aspect of running, I can't imagine my life without it. I enjoy easy runs all the way up to track workouts and races, I love trails and pavement, I love 5ks and ultra marathons. I run because I love and as an added benefit it lets me eat whatever I want, keeps me fit, and keeps me sharp for all other areas of my life. My best memories are from pacing, it is very inspiring to help other reach their goals. 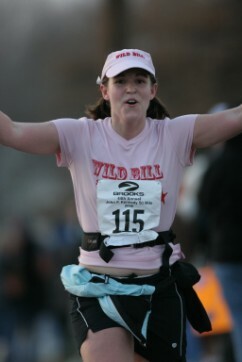 I am always ecstatic when I help a female runner make it to Boston. I love running and I am a chatter box. Pacing is a great way to give back to the sport and help others, while still doing what I love. Best pacing experience was my first pacing job at the womens Nike Marathon. It was my closest to my goal time and just a lot of fun to run with so many women. My best pacing group was at Cincinnati Flying Pig. I had more people finish with me than any other race, people really set their goals well there and worked hard in the end to get them. If you don't like chatter my group may not be the one for you. 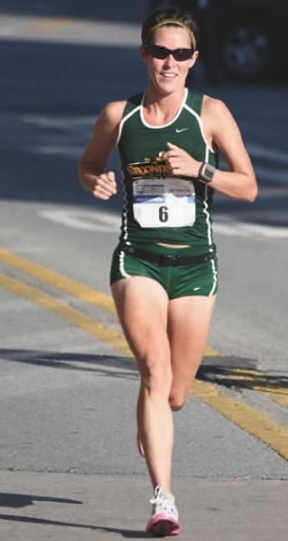 I talk a lot and a pace group is a great time to share my running experiences with others. I am pretty much full of endless energy and I like to think that keeps my group feeling energized even when they are tiring. I think I am a good motivator and I also know enough about marathoning and running in general to be entertaining as well as informative during the marathon. Make sure your goal is realistic. My heart breaks every time we lose a runner in the later miles of the marathon. If you want to run with a pace group be prepared to have fun but work hard at the end. The early miles are easy, it's later when you need to dig deep and push. I'm very grateful I got hooked up with Pacer Jims team. It is a lot of fun and very rewarding to help others reach their goals. I look forward to the future when I am doing less of my own racing and can pace more often!